Home › Life › Quickhit: Minor Hoydening for the long weekend? Quickhit: Minor Hoydening for the long weekend? Having just discovered the decadence that is the Guylian cafe, that is my meeting place of choice, although I’m not caring whether it’s the one in the Rocks or the one under the Toaster at Circular Quay. I can probably be persuaded to other venues if people feel strongly, so long as I can drop into Guylian to pick up some chocs to take home. I will probably take my camera for a walkabout before or after the eating if anyone wants to combine this with a photoblogging meet. Being the Hoydenizen who shall be visiting, I think it’s safe to say that I’m up for stuff. Is this what I think it is? Because if so, I am totally there. Tigtog, I did some tweaking of my Facebook settings so you should have access to my mobile number now. I will still have e-mail and twitter access at least, otherwise. Excellent. I’m busy on the Saturday, but available on Sunday or Monday. And oh yes, the Guylian cafe is exactly what you think it is. With savoury stuff lying around the joint as well. I will be chained to the laptop for the day seeing as my exam is coming up, but if I can squeeze some time I’ll pop in for a little while. I’m still up for it if we can do it on the Monday 🙂 If not: hope you have fun anyway! Monday, then? At Circular Quay? Any thoughts on a time, anyone? My schedule is fairly flexible for the Monday – has anyone else got some constraints needing to be worked around? Mid arvo works for me, though you know, I may just not be able to leave the house, so don’t shift things for me. Jennifer, if you’re reading, I tried to go and get your phone number from Facebook but it says your profile is currently unavailable. Perhaps you ticked an unintended box when you tweaked your settings? Anyway, I’d like to aim for 1pm on Monday if that suits everyone. 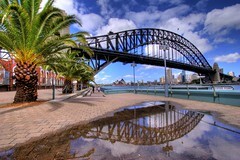 We can have coffee, food and chocs, and then walk it off around the Quay/Rocks/Botanical Gardens, weather permitting. Actually, looking at what Jen’s posted elsewhere, she’s heading back on Monday arvo, so it should be more of a brunch gathering, I reckon. 11ish? BTW Jen, I can see your Facebook again now. Unexpectedly available. Yipeee! So I’ll see you there too. We’re an oddly private lot at times. For anyone wondering, we did meet up, much hot chocolate and waffles and other yummies were consumed, it was sunny, there was mirth and rantage, and it was good. Thanks to all who managed to make the meet. It was great to see you all.